Assuming CC Sabathia performs at or near the level he’s sustained through his first two years with the Yankees, he’d be a fool not to opt out of his deal with New York after the season. That doesn’t mean he should leave New York, because CC will get more money there than anywhere else. But he’d be in perfect position to negotiate a gigantic extension with the reeling Yankees if there were signs that New York could lose its ace. As we mentioned earlier today, the Yankees were embarrassed this offseason when they failed to sign Cliff Lee and watched the rival Red Sox make huge improvements. The Yankees might struggle to keep pace with Boston this season, and if the threat of losing Sabathia truly exists, New York will give him whatever amount of money he requests, just as they tried to do with Lee two months ago. Of course if the Yankees weren’t hell-bent on spending as much as possible to build a winner, they might be smarter to let CC go after the season. As Newsday‘s Ken Davidoff points out, the Yankees will pay $60 million for the first three of Sabathia’s years in New York. But after this season, he’ll be 31, and approaching an age when most power pitchers begin to lose some of their heat. Sabathia definitely has a few strong years left, but if he wrangles an extension out of New York, it’s likely that he’ll stop being worth his contract at some point midway through his new deal. 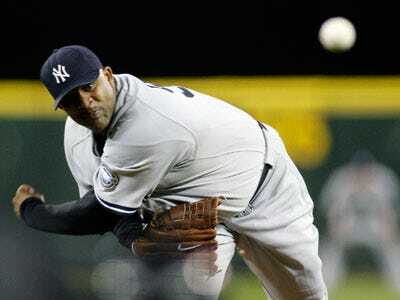 See also: After The Cliff Lee Deal, Do The Yankees Need To Worry About Keeping CC Sabathia Happy?